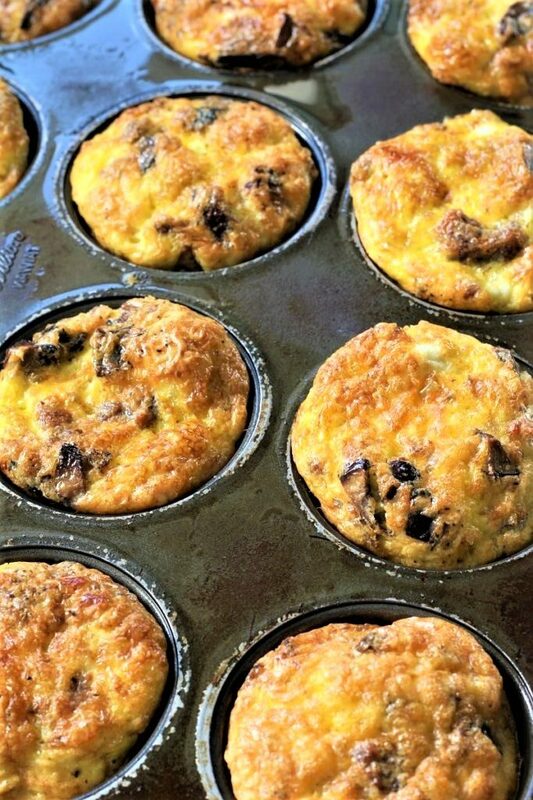 Healthy egg muffins are a wonderful way to start the day. And guess what, you can put them in the oven to cook. I love when we have leftovers because I know that the next morning, my kids are going to have something to eat for breakfast besides cereal. Place any of the healthy egg muffins leftovers in an air tight container; they will store up to 5 days. Ours never last that long. Over the weekend we had a fun day at an amusement park that is close to our house. Remember, my husband, daughter and I all worked so that we could get free tickets. So we all went one last time before the winter days start settling in. I made oatmeal cinnamon waffles for breakfast before we went to the park, however, next time I will be making healthy egg muffins. Why, you ask, because they are so quick and easy. And one other thing that you could do, is mix them up a little bit. Have different toppings for everyone to choose from. I guess I will have to make healthy egg muffins again and try all the different toppings that are out there. We did have a great time at the park. Unfortunately, a couple of my kids got their mothers genes and they were motion sick after the second ride. I guess I will never know why some people can ride whatever ride they want and some of the rest of us get sick on the merry-go-round? Gone are the days that I can ride those crazy roller coasters, like the ones that go loop t loop. I did ride the big Ferris Wheel. And I also went into the Haunted House. I went with my husband and granddaughter and thank heavens she had been before and told me, “grandma, at the end they blow a loud horn”. So we were almost at the end and she said, “okay, here are the lights, we are almost to the end and so I plugged my ears. It is always good to get together. I just need to find something that doesn’t make a few of us so motion sick. So, if you have any suggestions, let me know. If I ask my kids on Sunday afternoon what they want to do, they tell me that they want to play, “guess who’s sleeping”. We do like our Sunday naps. One other fun thing we could do is to roast marshmallows in the back yard, but we live in an area that has so many mosquitoes. Another fun thing is to have a movie night outside. But by the time it is dark outside, all of those mosquitoes are out again. A lot of times we like to have breakfast outside in the mornings and that is because the mosquitoes are not out yet. Also, since our house faces East, the shady side (West in the morning) of our house is nice in the morning and not to hot, so we eat breakfast instead of dinner outside. 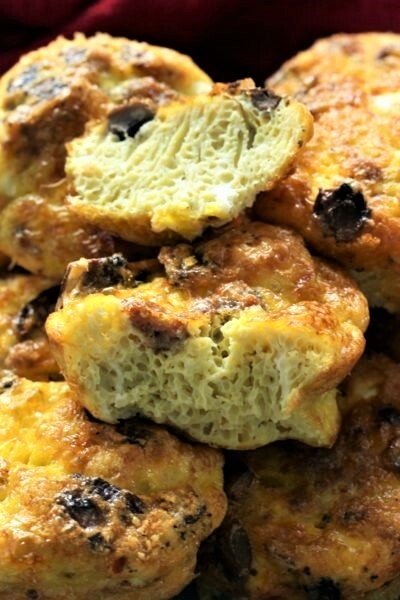 I hope that you will try healthy egg muffins for breakfast. You will be glad you did and so will your kids. We all know that breakfast is so important to get us going in the mornings! So, I will post some other ideas for you to add to your healthy egg muffins. You could also add some spinach, cherry tomatoes cut into smaller pieces, ham, bacon, green peppers, cheese of any kind that you like, and don’t forget to add avocados and salsa. Let me know what else you like? Make sure to test your muffins with a wooden pick, if the pick comes out clean, the muffins are done. Make sure to spray the tin with non stick cooking spray. When sauteing the mushrooms, if the pan needs more grease, add a little butter. These would be a great breakfast for a birthday party. Give each kid a cup with an egg in it and then let them add their own toppings, stir gently and then try and remember whose egg is whose! Ha ha. Then enjoy. In a medium skillet, cook the sausage. Remove the sausage and place it on a paper towel. Add the cheese, salt, pepper, sausage and mushrooms. Spray a 12 count muffin tin with non-stick cooking spray. Fill each cup about ¾ full with the egg mixture. Bake in a preheated oven for 20 - 22 minutes. Test the muffins with a wooden pick to make sure that the centers are done, if it comes out clean, they are done. Remove the muffins and serve them. Store any left over muffins in an air tight container in the refrigerator for 4 - 5 days. Reheat in the microwave for 15 - 20 seconds depending on your micro wave. I love healthy breakfasts that I can make in advance! Your oatmeal cinnamon waffles look mighty yummy too 🙂 I loved all your family time ideas too. Have a great week!! Thank you so much for coming by and reading my blog post. 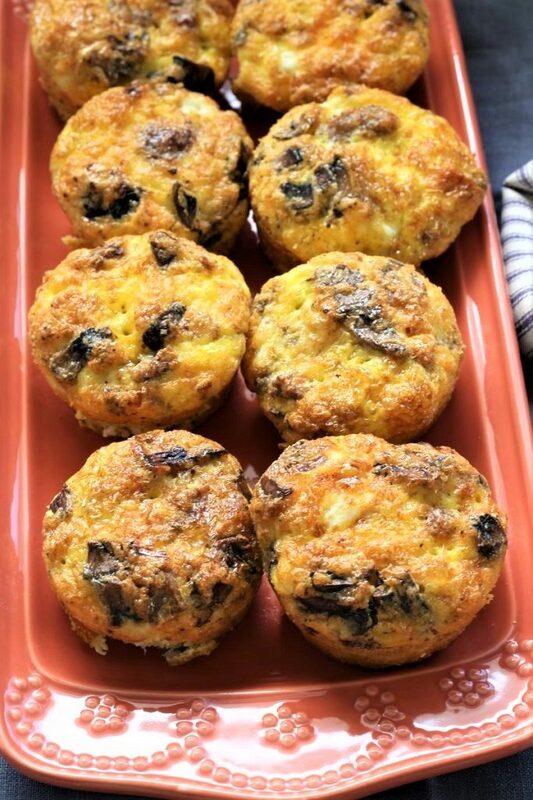 I do like that I can make these healthy egg muffins ahead of time. Anything that I can do ahead of time is such a bonus. Thank you. We do love your party!